One of the most unusual birds, this interesting animal is one bird that no one wants to keep in a cage. In fact, the Hoatzin just doesn’t have many friends. Considered to be a hold over from the days of the dinosaur, they are the only still existing part of a family of birds that are called Opisthocomidae. All of their relatives most likely died out a long time past. The Hoatzin weight about 2 pounds, and is about 2 feet long, sometimes a bit more. They have an almost entirely bare head, with a crest on top of it that is red, and blue skin around the red eyes. On the back of the neck they are green striped and the throat and breast of the Hoatzin is white.They have black tail feathers and chestnut colored feathers over the rest of their bodies. The Hoatzin is a rainforest bird, and lives in the lowland areas in the Amazon basin. They love slow moving or swampy standing water, and the floods or small lakes that are made when the river changes its path is the ideal habitat for this bird. The Hoatzin makes its nest in low branches in trees that hang out over the water to avoid the predatory birds that might make a meal of their offspring. They live in groups, so the Hoatzin will have as many as 25 or 30 nests in one single tree. The Hoatzin feeds on marsh plants and leaves, which ground up in their crop, an organ that the bird uses as a stomach. When it has been ingested, the plant materials are fermented which gives the bird a fairly foul odor. The baby Hoatzin has a claw that grows on the end of his wing that helps him to climb back up into the nest when they fall to ground. This is the residual feature of another bird of the Hoatzins long died out family, the Archaeopteryx, who hasn’t lived on earth for about the last hundred million years. The Hoatzin does communicate, and make strange sounds that sound like grunts, growls or wheezes. They also hiss at each other. The female Hoatzin will lay either two or three eggs, in a nest that is built of small twigs, and hangs out over the water from a tree branch. The two parents will both take turns keeping the eggs warm. After about twenty eight days they will hatch. The young Hoatzin will be fed by the parents the plant material that the parents regurgitate. The Hoatzin are such a smelly bird that they are not often hunted by the local tribes, or even other animals, since no one really cares for them. They eat leaves, which is very rare for any species of bird. The leaves rot inside their primitive stomach (Giving them a foul odour). The leaves also weigh them down quite a bit, resulting in them not being able to fly as well as other, more modern, birds. 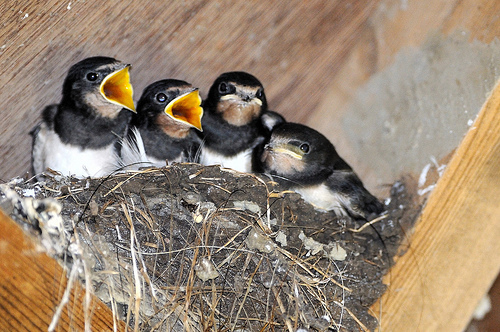 Smelly or not, they truly are amazing birds. 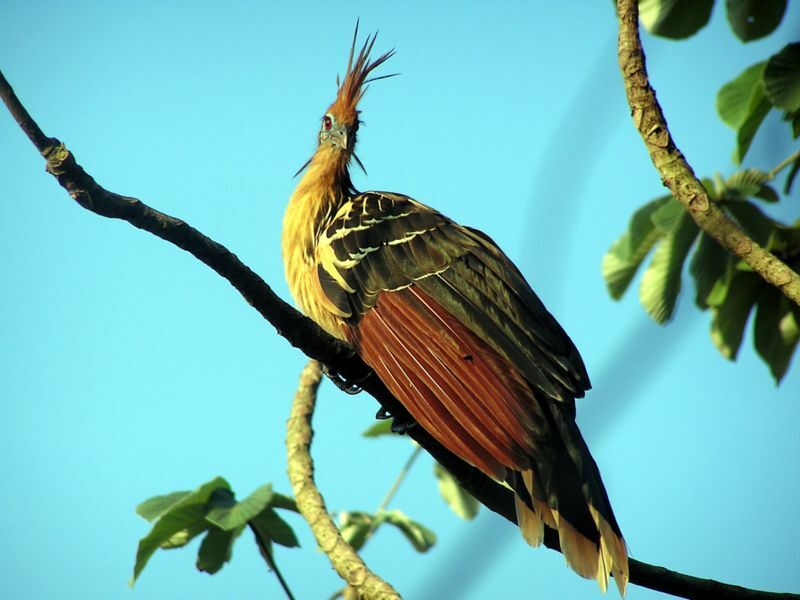 i want 2 know the sound of hoatzin. its a very beautiful bird..its my favorite bird except parrot, dove and bee are my best.. I need more information about the animal. Despite Their Stink- I find them to be very exotic looking. Love these Jungle fowl- Esp. 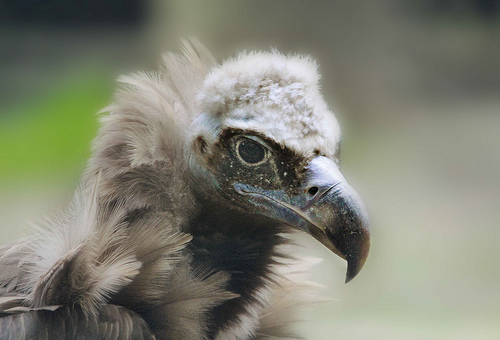 the fact they have claws on the wing as youngsters. I have also heard (on a nature show) That the young when frightend from the nest will drop to the water below & literally SWIM! Then climb back up to the nest when thwe danger has past. Truly a wonderful world we live in, eyy? Kool Bird!